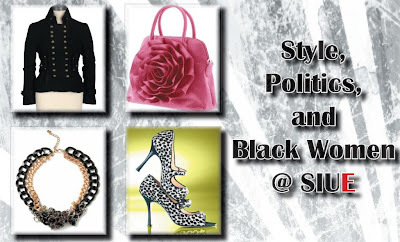 This coming Tuesday, from 10 - 12:30 in the Morris University Center Art Gallery, we'll host our annual exhibit Style, Politics, and Black Women @ SIUE--a knowledge-building, mixed media project that focuses on creative expression and social awareness among African American women. The project addresses style matters and the politics of hair, clothing, finger nails, shoes, earrings, and other fashion concerns for a small but vibrant demographic at the university. Why a focus on black women and style? Fashion practices and choices constitute important modes of non-verbal communication. 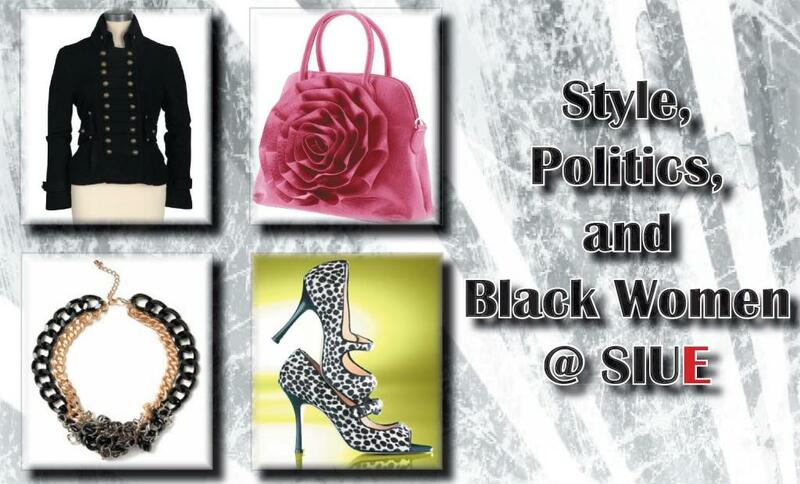 Among black women--the largest "minority" group on SIUE's campus--the politics of style are especially pronounced and sophisticated. Conversations about why some sisters rock naturals, why some Chicago women are so, so serious about their nails, and how that woman connects her earring selections to black consciousness always end up being discussions of larger issues in African American history and culture. Our Politically Inspiring Black Women series led to our Style, Politics, and Black Women @ SIUE project, and so we hope that this project will lead us to new and exciting places as well. For now, we're hoping you'll join us on Tuesday as we develop the conversation.